For all members of the Heathers Cancer Support Group in Horsham and the Chrysalis Breast Cancer Support Group in Crawley. 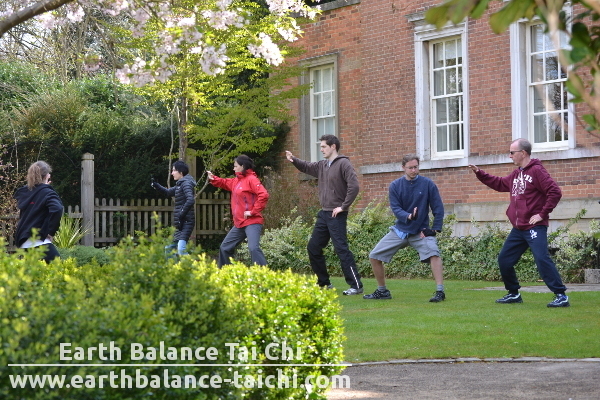 Instructor Nicola of Earth Balance Tai Chi is holding an introduction to Tai Chi and Qi Gong session at the Unitarian Church in Horsham on Monday 12th March at 2pm. This is a free event for members of both cancer support groups. In this session Nicola will be talking about the many health and wellbeing benefits with regular practice of Tai Chi and Qi Gong. We will also cover basic movements of Chen style Tai Chi and 8 Pieces of Brocade Qi Gong.